The Section-64 FMJD in accordance with the calendar of the Section-64 competitions in 2012 holds international competitions 4th «Cup of information technology» — World Cup. Competition will be held from 10 (the day of arrival) to August 17, 2012 in Kazan(Russia), in «TSSDYUSHSHOR of R.G.Nezhmetdinov». 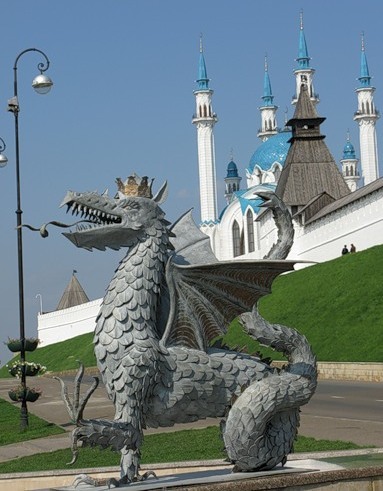 Competition will be held from 10 (the day of arrival) to August 17, 2012 in Kazan(Russia), in «TSSDYUSHSHOR of R.G.Nezhmetdinov» (Butlerova street, 7) — in front of the Kazan State Financial and Economic Institute. All participants must register and pay tournament fee August 10 from 9:00 to 17:30 in the «TSSDYUSHSHOR R.G.Nezhmetdinov» After that date players who not registered to participate in the tournament are not allowed. — for the masters of sports, representing RT — 250 rubles. — for candidates of master of sports, representing RT — 500 rubles. — for the 1st category, representing the RT — 800 rubles. — for international grandmasters — 1000 rubles. — for international masters and masters of FMJD — 1500 rubles. — for national masters of sports — 2000 rubles. — for candidates of master of sports — 2500 rubles. — for the 1st category — 4000 rubles.